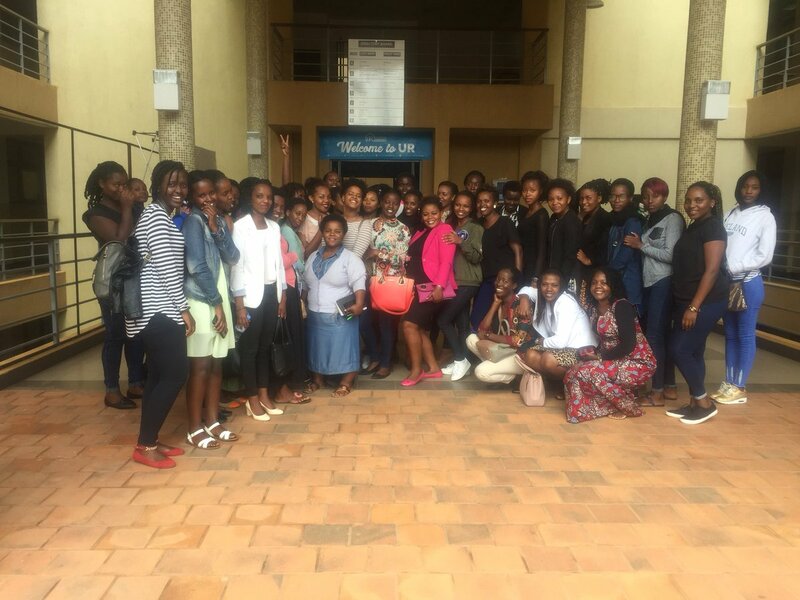 Women In News (WIN) held two meetings with young women university students in Zambia and Rwanda as part of its Future Leaders Initiative. The meetings, held on 14 and 21 April 2018 respectively, were hosted by the University of Zambia (UNZA) and the University of Rwanda (UR) as part of partnerships developed with the two institutions, along with the Rwanda-based university Institut Catholique de Kabgayi (ICK) to help in mentoring young women journalists. A total of 69 students from the three universities were exposed to advice from WIN’s current and previous participants on various topics that spanned from newsroom etiquette, communication skills, starting and owning a media business, writing for online and careers in broadcasting and print. The interface with experienced women in the media aims to provide Future Leaders with insights and encouragement, to learn more about pursuing careers within the media industry and have their questions answered. “The conversations we had were very good and helped me understand different things related to journalism. I have realized that I am able to create my own job in journalism like those mentors we had, and their testimonies will always remind me to think critically about anything and be optimistic, which will enable me to be a good journalist,” said Marie Claire Isingizwe, a second year student at UR. “I have learnt a lot, I am grateful for the various tips that awakened my mind to think beyond the limits and I am hoping that it is going to change my life for the better,” she added. Second year student at UNZA, Mweene Muleza spoke of how she learnt how to be confident, how to build her career by leveraging on networks and now has a better understanding of what is involved in the field of journalism. The interactions and relationships being developed under the Future Leaders initiative are part of efforts by WIN to encourage women journalists to give back to the communities in which they serve. Regine Akalikumutima, publisher of Rwandan online platform Angels Ubuto N’ubukuru and WIN Year 2 participant stated that the activity is very helpful and wished she had had other women to guide her when she was studying and when she started out in her career. By creating such platforms for interaction between working professionals and students, WIN is helping to build a community of support in the form of role models and mentors for those who have chosen journalism as a career path. The WIN Future Leaders Initiative is a core component of the WIN programme aimed at mentoring up and coming female journalists so as to smoothen their entry into the industry and begin to build their staying power in newsrooms.